Bill Crider will sign and discuss Half in Love with Artful Death (Minotaur; $24.99). (Poisoned Pen Press; $24.95 or 14.95). Bill Crider will sign and discuss Murder of a Beauty Shop Queen (Minotaur; $24.99). Bill Crider is the winner of two Anthony Awards and an Edgar Award finalist. An English college professor for many years, he’s published more than seventy-five crime, Western, and horror novels, as well as a number of children’s books. He lives with his wife in Alvin, Texas. Bill Crider discusses Of All Sad Words. 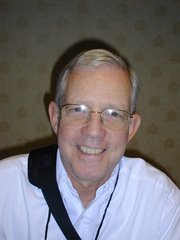 Bill Crider is currently considered a "single author." If one or more works are by a distinct, homonymous authors, go ahead and split the author. Bill Crider is composed of 2 names. You can examine and separate out names.